Publication Ethical Policy of Indian Journal of Scientific Research is based on the committee on publication ethics (COPE) and IJSR’s own guidelines on ethical human research and animal welfare. Indian Journal of Scientific Research is committed to publish the highest standards of publication ethics and take all possible measures against any publication malpractices. All editorial board members, advisory board members, editors, reviewers, authors, co-authors, readers and contributors should follow these ethical policies working once with Indian Journal of Scientific Research (IJSR). 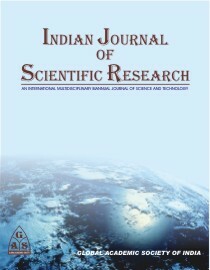 The editor of the Indian Journal of Scientific Research is responsible for deciding which of the submitted articles to the journal, should be published and Editorial board take/makes the final decision about the articles to be published. The editor is directed by the policies of the journal’s editorial board and constrained by such legal requirements and shall then be in force regarding libel, copy right infringement and plagiarism. The editor may confer with editorial board or their reviewers in decision making. An editor at any time can evaluate articles for their intellectual contents regardless to race, gender, belief, religious, ethnic origin, citizenship or political philosophy of the author. The editor and any journal staff must not disclose any information about a submitted article to anybody other than corresponding author, reviewers, other editorial advisors and the publishers as appropriate. Unpublished materials disclosed in a submitted manuscript must not be used in editor’s own research without the express written permission of the author. The names and email address of the author and co-authors entered in Indian Journal of Scientific Research will be used exclusively for the stated declared purposes of this journal and will not be made available for any other purpose or any other part. Authors must always duly acknowledge the picked work of others and must cite the influential publication in determination of nature their report/work. Authors are directed not to maintain or used the information obtained by conversation,private correspondence or discussion with third parties ( expect Authors,Co-authors,publication official of IJSR) without written permission from those. Authors should disclose every financial or other substantive conflict of interest in their manuscript that might be constrained to influence the results or interpretation of their manuscript. All sources of financial support for the project must be duly disclosed. IJSR wishes that all authors, editors and reviewers acknowledge upfront any relationship that they think could be said as resulting in a certain, potential or perceived conflict of interest with regard to the article. A conflict of interest may exist when an author, reviewer and editor has personal or financial relationship that influence inappropriately his/her action. These relationships vary from those with negligible potential to those with great potential to influence judgment and not all relationship represent true conflict of interest. The potential for conflict of interest can exist whether or not an individual believes that the relationship affects his or her scientific judgment. Financial or business relationship (such as employment, consultancies, stock ownership, honoraria, paid expert testimony) are most easily identifiable conflicts of interest and most likely to undermine the credibility of the journal and authors’ conflicts can also occur for other reasons such as personal relationship, academic competition or intellectual or ideological beliefs. The authors are responsible for submitting a detailed conflict of interest disclosure statement during manuscript submission. At the end of their manuscript, authors should disclose financial and personal relationship with organization or people that could in appropriately influence their work. If there are no conflicts, author must include this statement on manuscript page “The authors declare no potential conflict of interest”. During asked for review a manuscript, reviewers should disclose to editors any conflicts of interest that could bias their opinions of the manuscript. If reviewers believe that they can’t judge a manuscript impartially because of contact with authors or possible conflicts of interest, they should decline the invitation to review and provide an explanation to the editor. If a reviewer is unsure whether the potential for bias exists, advice should be sought from editor, reviewer must not use knowledge of manuscript under review before its publication to further their own interests. If editor has a conflict of interest or a deanship relationship that may bias their treatment of the manuscript under consideration, they should excuse themselves from handling the manuscript. During submission of their manuscript in IJSR, authors’ reports of original research should present on accurate account of the work and equitable discussion of the significance of their finding. Data, procedure and methods used in the research should be presented in sufficient detailed reference in their paper so that other researchers can replicate the work. 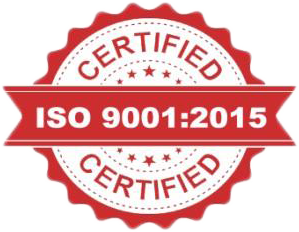 Authors must certify that their manuscripts are their original work and if the authors have used the same work or words of others that it has been appropriately cited of quoted, Plagiarism, duplicate, date fabrication, falsification and redundant publication are forbidden. Any signs of plagiarism will be taken very seriously. If there is any site of misconduct. The manuscript will be removed immediately. An author should not publish in general manuscripts describe in essentially the same research in more than one journal are primary publication. Submitting the same manuscript to more than one journal concurrently constitutes unethical publishing behavior and is unacceptable. An author must acknowledge properly the work of others.Authors should cite the publication that has been influential in determining the nature of reported work. When an author discover a significant error or inaccuracy in his/her own published work, it is the author’s obligation to promptly notify the journal editor or publisher and cooperate with the editor to retract or correct the paper. Authorship should be limited to those who have made a significant contribution, design execution or interpretation of the reported study. All those who have made significant contribution should be listed as co-author. Where these are others who made participated in certain substantive aspects of the research project, they should be acknowledged or listed as contributors. The corresponding authors should ensure that all appropriate co-authors and no inappropriate co-authors are included on the paper and all the co-authors have been seen and approved the final version of the paper and have agreed to its submission for publication. Any financial or other substantive conflict of interest should be disclosed by authors in their manuscript. All financial support and its support should be revealed .During the submission of an article the respective authors that the article neither is under consideration nor published in other journal. Reviewers should not share any information from an assigned manuscript with outsiders without the prior permission from the Editor. Reviewers should bring to the attention of the Editor Board any information that may be a reason to reject publication of a manuscript. Reviewer with fair expertise should complete the review. Reviewer comments should appreciate positive aspects of the work, identify negative aspects constructively, and indicate the enhancement needed. A reviewer should explain and support his or her judgment clearly enough that Editors and Authors can understand the basis of the comments. Reviewer’s decision should solely depend on scientific merit, relevance to the subject and scope of the journal. Reviewers should not carry any particular, personal or racial or religious agenda during the processing of manuscript. Reviewers must follow the time duration allotted to them for the purpose. Reviewers must notify editor-in-chief if there are any conflicts of interest. The Editorial Board must keep information related to all submitted manuscripts confidential and should not disclose to anyone other than the corresponding author, reviewers, potential reviewers. Editor must comply with the policy guidelines provided by the publisher. Editors are responsible for monitoring and ensuring the fairness, timeliness, thoroughness, and civility of the peer-review process. The editors are responsible for making publication decisions for submitted. The Editorial Board must maintain the journal internal integrity by suggesting the corrections, dealing with retraction, supplemental data etc. The Editors must evaluate manuscripts only for their intellectual content without any bias towards race, gender, sexual orientation, religious belief, ethnic origin, or political philosophy of the authors. The Editorial Board must maintain the integrity of the academic record and improve journal & publication process. Note : For more information on ethical issues, please read the following COPE’s guidelines that might be helpful for authors as well as editors.